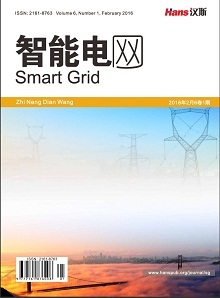 In order to reduce the risk of distribution network operation, this paper calculates the power flow of distribution network based on the equivalent circuit diagram of distribution network, studies the calculation method of circulating current caused by loop closing operation of distribution network is studied, and puts forward a load control strategy to reduce circulating current, then uses the MATLAB/Simulink simulation software to build a simulation model of the operation of the distribution network, and the proposed control strategy to reduce the circulating current is simulated. The results verify the effectiveness of the proposed method. 潘浩辉. 惠州10 kV配网合环转电对继电保护的影响研究[D]. 华北电力大学(北京), 2011. 刘健, 孙泉, 张小庆, 等. 配电网合环分析与合环条件判断[J]. 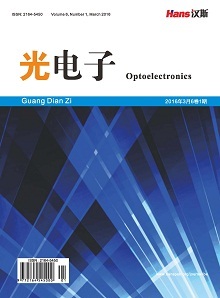 电力系统自动化, 2014, 38(11): 130-135. Cheng, T. and Cheng, L.S. (2001) Study on Electromagnetic Loop Network Operation of Power Systems. Central China Electric Power. 席云华. 广州地区10 kV电网合环供电理论研究[J]. 科学技术创新, 2013(26): 18-20. Zou, J.X., Zhou, G.B., Ke, F.U., et al. (2010) Electro-magnetic Loop Closing Calculation Model and Experimental Analysis on 10 kV Distribution Network. Power System Protection & Control. 刘洋. 10 kV配网合环电流计算方法研究[J]. 供用电, 2016, 33(4): 54-58. 李旭前, 石连生, 吕泽阳, 等. 10 kV配电网合环倒负荷研究[J]. 云南电力技术, 2014, 42(2): 41-44. 赵国庆, 朱华锋. 关与10 kV城市配电网建设与电气设计[J]. 建材发展导向, 2010(2S): 105-106. 邬溢生. 10 kV配电网络合环转供电操作的可行性分析及实际应用[J]. 中国新技术新产品, 2013(20): 159-160. 王海燕, 曾江, 刘刚. 国外配网自动化建设模式对我国配网建设的启示[J]. 电力系统保护与控制, 2009, 37(11): 125-129. Thongkrajay, U. and Kulworawanichpong, T. (2008) Convergence Improvement of Gauss-Seidel Power Flow Solution Using Load Transfer Technique. Iasted International Conference on Model-ling, Identification and Control, ACTA Press, 1-6.